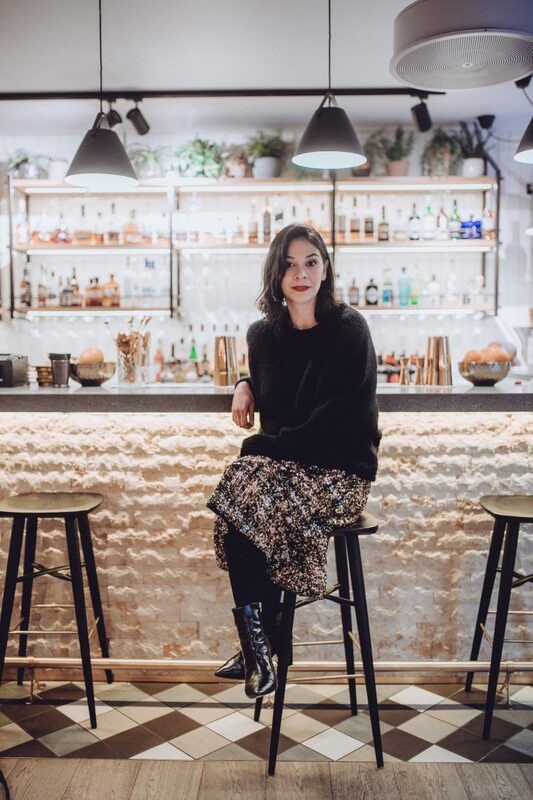 There’s a lot of buzz around Salon Sloane‘s hair stylists and colourists but there’s another reason to step inside Chelsea’s most stylish hair salon and her name in Lanh. Lanh is Salon Sloane’s amazing manicurist who is very much in demand. Before Christmas I popped in to see Ivan and was treated to a complimentary manicure by Lanh, which I absolutely loved. So, I wanted to give you a chance to get to know Lanh more so you can see just how special she is. What is your manicure background? I grew up in a family of beauticians; all four sisters are beauticians. I started helping out when I was 13 years old; training and learning about the business. During my 25 years experience with 4 years London experience working in high end nail bars in Berkeley Square, Mayfair and Chelsea, I became the personal manicurist for Sarah Doukas and her team (founder of Storm Model agency). I was frequently called for editorial work, celebrity and VIP clients. What do you love about Chelsea? I live in Battersea and I walk across Albert Bridge to get to work via King’s Road. It’s such a beautiful walk with the park and the river view and then there’s the buzz of Sloane Square and King’s Road which is exciting. What are the current nail trends? Classic short length almond shaped impeccable manicured nails with a perfectly polished glossy finish. The go-to colour this season is the sweetest, softest pale pink nail polish. What I am using right now is OPI Infinite Shine for a gel-like wear and shine. Can you share some top hand care tips? Treat your hands as you would your skincare routine. Don’t forget to love your hands. Use a natural based sugar and honey scrub for a radiant glow and keep your hands moisturised especially through the winter months. What type of experience would your clients at Salon Sloane expect? A relaxing tailored service where you will feel looked after and leave with perfect nails. Your nails look fabulous! I’m quite fussy with my own but love how Lanh’s done yours.